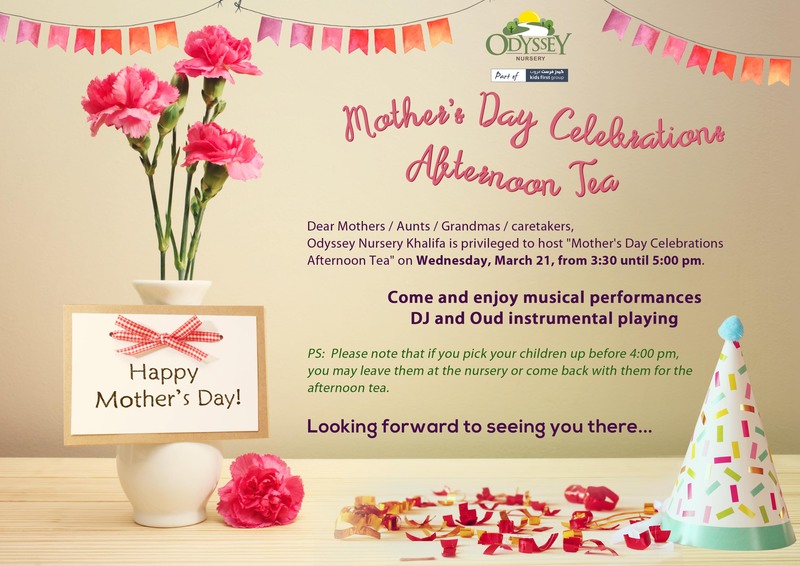 Dear Mothers, aunts, grandmas, caretakers, Odyssey Nursery Khalifa is privileged to host “Mother’s Day Celebrations Afternoon Tea” on Wednesday, March 21, from 3:300 until 5:00 pm. Come and enjoy musical performances, DJ and Oud instrumental playing. Looking forward to seeing you there, and happy Mother’s Day! A crime scene was set up in Pebbles 2 classroom: someone broke the chair! Who was it? The little detectives spent the day trying to discover who it was. This week was all about learning to eat and live healthy. Our little ones got very creative with their fruits and veggies by using them to make smiley faces and other crafts! They also created their favorite fruits with clay and had their faces painted with the veggie of their choice! 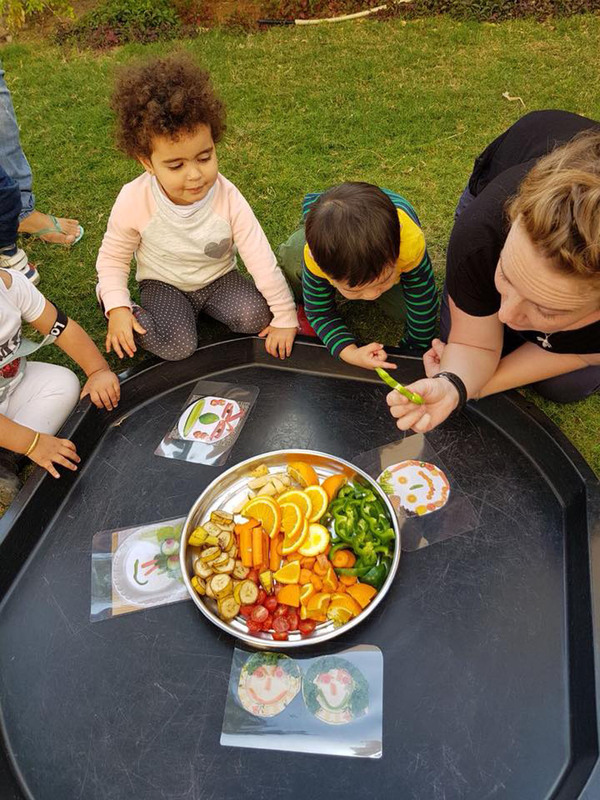 They also learned the importance of washing their produce before eating them and why fruits and vegetables are so important for their health. 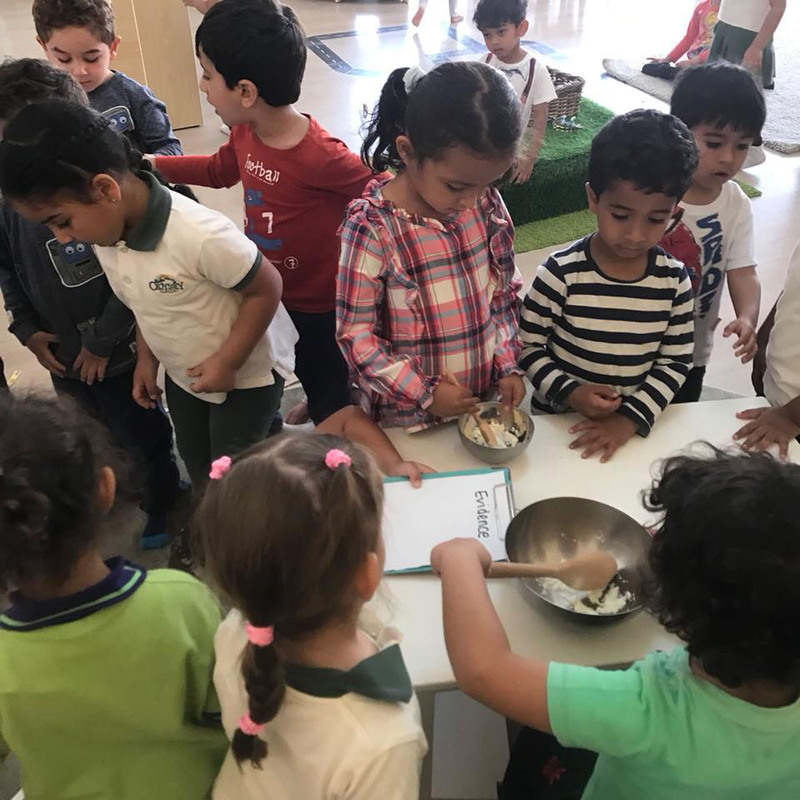 It was a fun and educational week for the children of Odyssey Khalifa City! It is true that our children speak 3 languages but they work together in one: the language of laughter and play! On Rainbow Day, the little ones experimented with all the colors of the rainbow using lights and paint. Each child was able to get as creative as they want using their favorite colors and a wall to draw on. 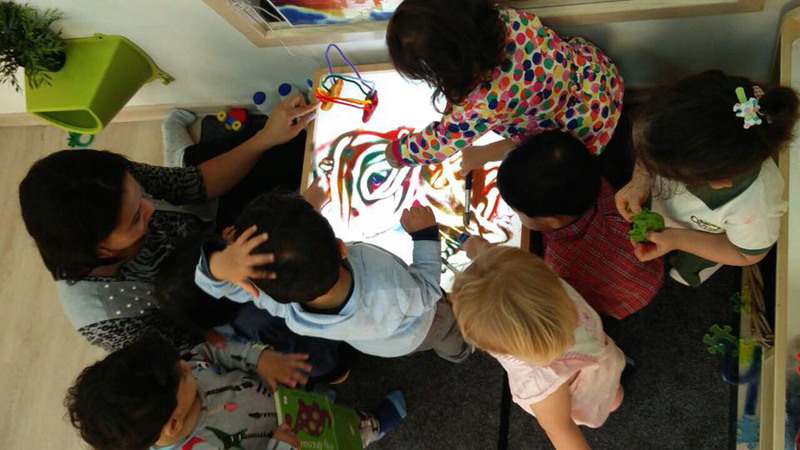 They could also draw on an empty canvas, make shapes with some play do, and explore the colors with anything they want! This is the beauty of learning through play.